Ford's vision of aviation for the masses really gained momentum with the Ford Tri-Motor aircraft, first built 1925 and improved in 1926 with a Wright Brothers "Whirlwind" engine. 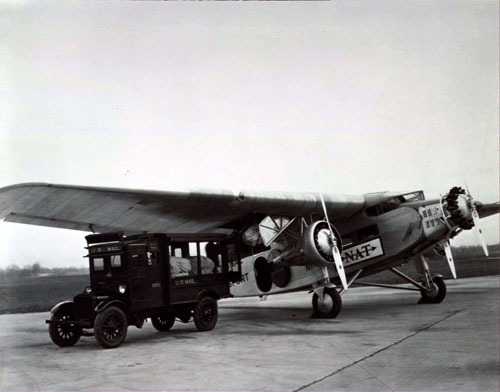 With the Tri-Motor's immediate success, Ford's Airplane Manufacturing Division became the world's largest manufacturer of commercial aircraft at the time. Ford built 196 Tri-Motor airplanes, ending production in 1932. Some still fly today.